Based on talks given during a one-month meditation retreat at Gampo Abbey, this book contains teachings that were intended to inspire and encourage practitioners to remain wholeheartedly awake to everything that occurs and to use the abundant material of daily life as their primary teacher and guide. The message for the retreat participants--and for the reader as well--is to be with oneself without embarrassment or harshness. This is instruction on how to love oneself and one's world. This Shambhala Pocket Classic is an abridged version of The Wisdom of No Escape. 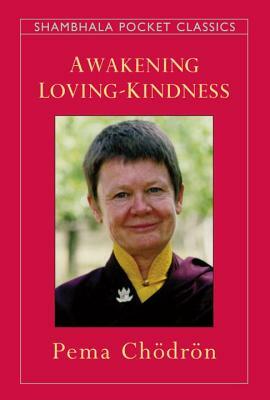 Pema Chodron is an American Buddhist nun in the lineage of Chogyam Trungpa. She is resident teacher at Gampo Abbey in Nova Scotia, the first Tibetan monastery in North America established for Westerners. She is the author of many books and audiobooks, including the best-selling When Things Fall Apart and Don't Bite the Hook.